For more than 13 years, Jesse Freeman has been on the cutting edge of interactive development with a focus on the Web and mobile platforms. As an expert in his field, Jesse has worked for VW, Tommy Hilfiger, Heavy, MLB, the New York Jets, HBO, and many more. Jesse was a traditional artist for most of his life until making the transition into interactive art, and he has never looked back. Jesse is a Technical Evangelist at Microsoft focusing on game development for Windows 8 and Windows Phone. Jesse is a seasoned speaker who has presented at numerous conferences over the past 5 years as well as being an active leader in New York's developer community. He writes for several development sites including O'Reilly Media, Inc., Adobe Developer Connection, Activetuts+. 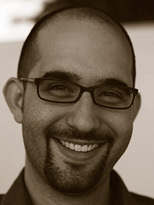 and is also the author of Building HTML5 Games with ImpactJS, which is published by O'Reilly Media. He can be found on twitter at @jessefreeman. To learn more about Jesse Freeman's work, talks and workshops visit his site at http://jessefreeman.com.